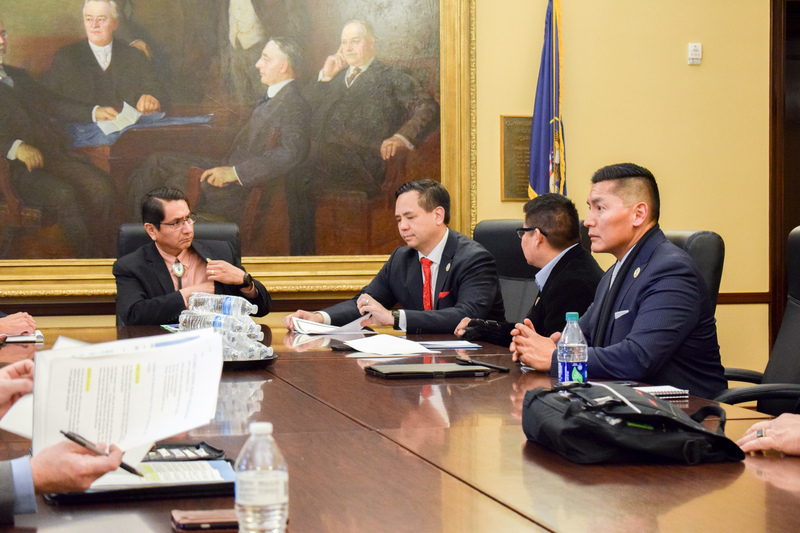 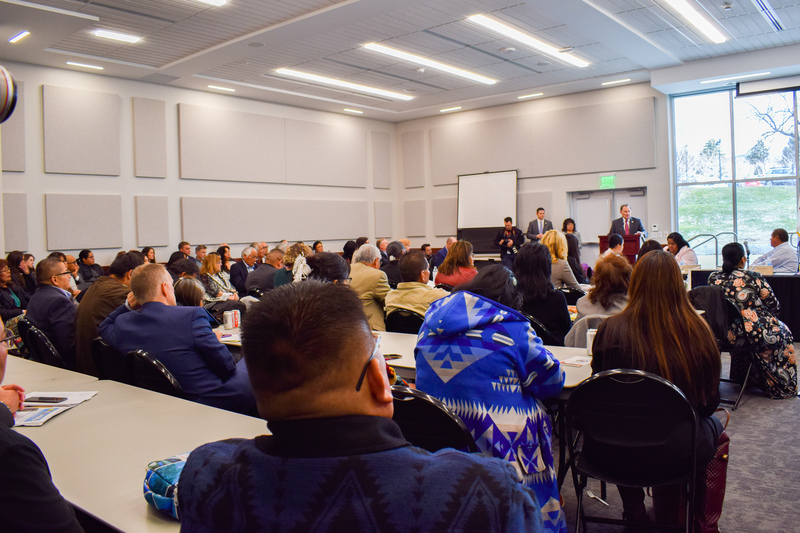 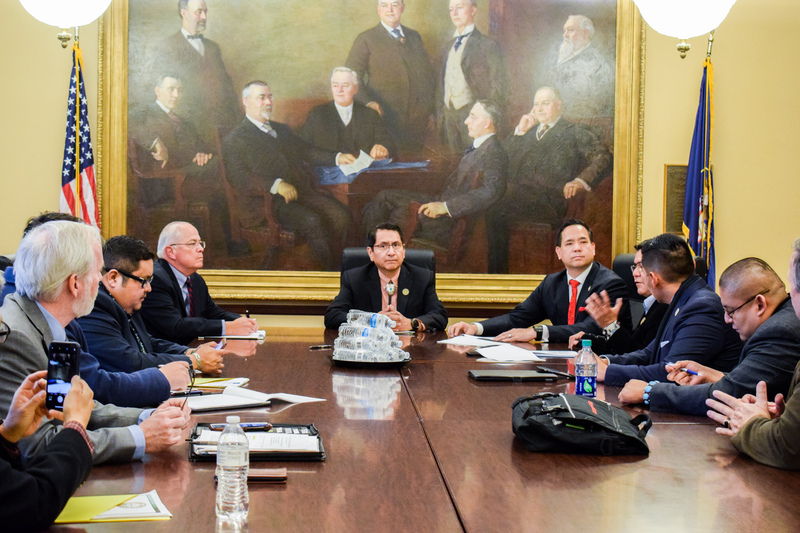 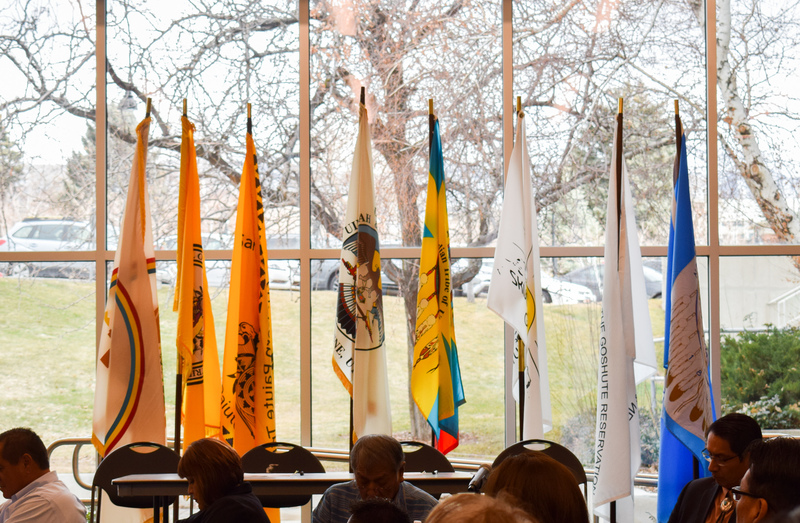 Yesterday, Utah Attorney General Sean D. Reyes met with the leadership of the Navajo Nation, reported on the proceedings of the ICWA lawsuit, and signed an Inter-Governmental Agreement (between DCFS & Navajo Nation) with Governor Gary R. Herbert. 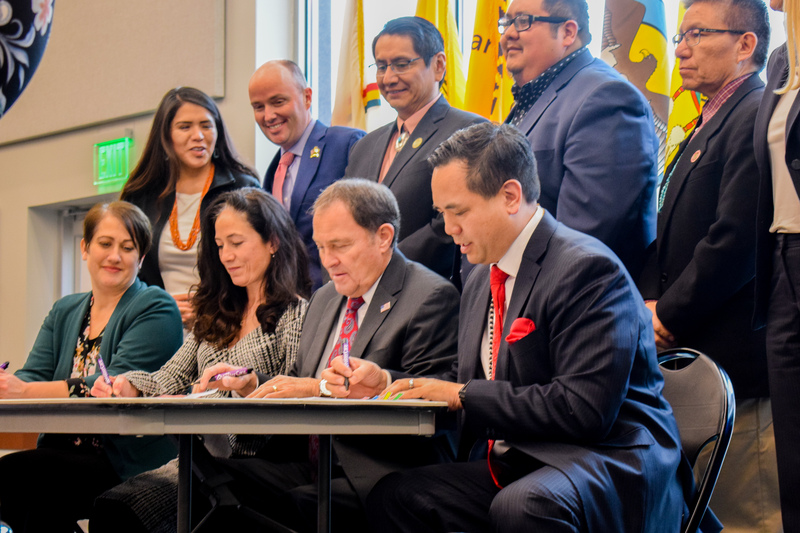 The Agreement is the result of a two-year process working with the Navajo Nation on the principles of the Indian Child Welfare Act (ICWA). 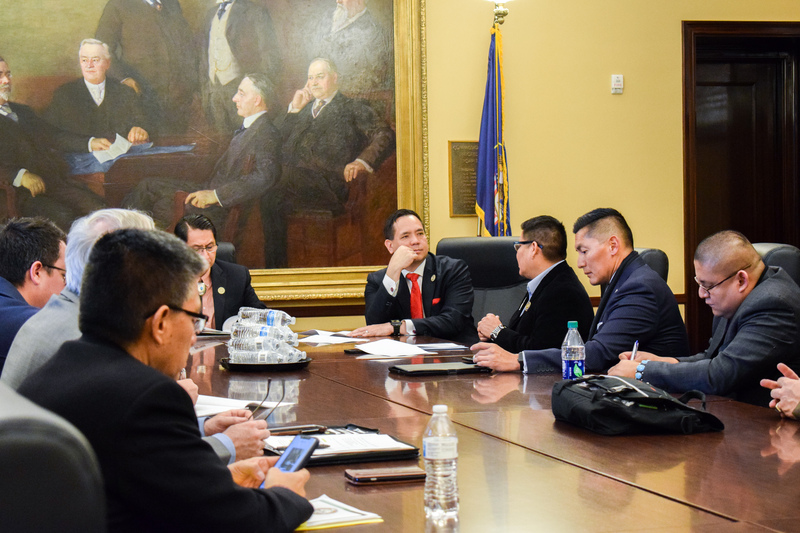 It states the intent to support the fundamentals of ICWA, to adhere to the tribal processes concerning families and children, and to ensure that when a Navajo child is unable to return home, they will be placed with a Navajo family. 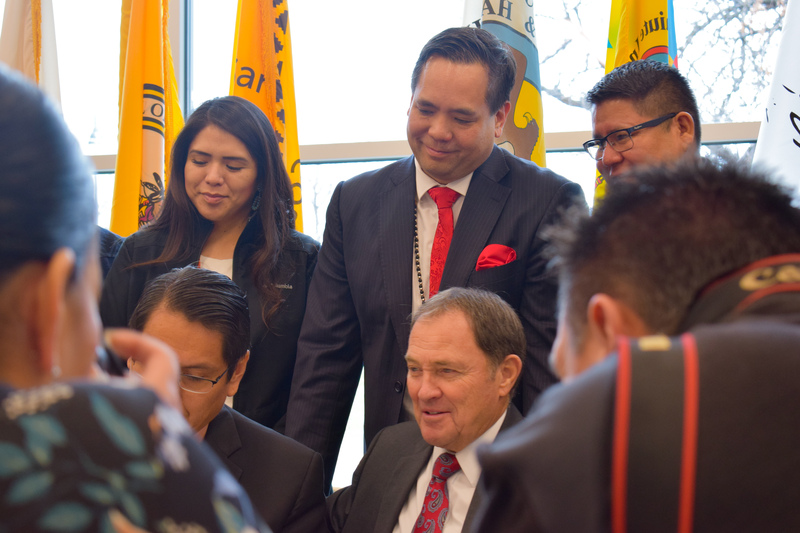 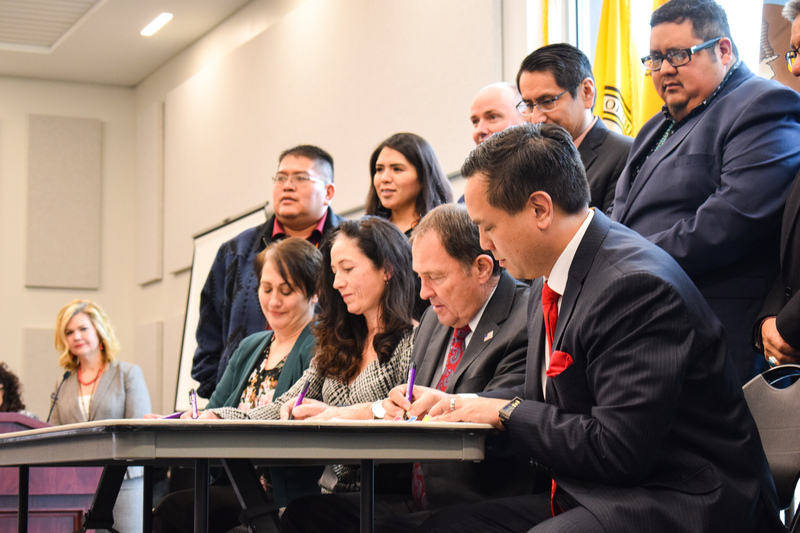 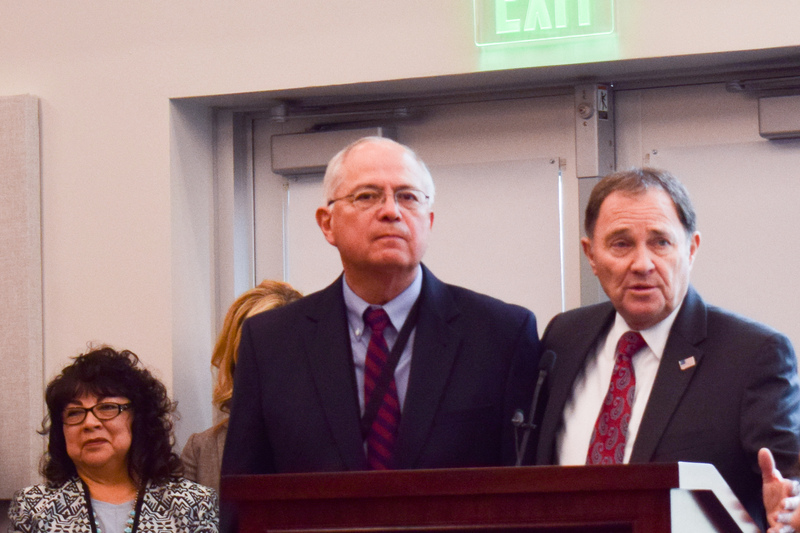 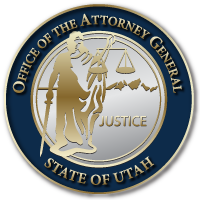 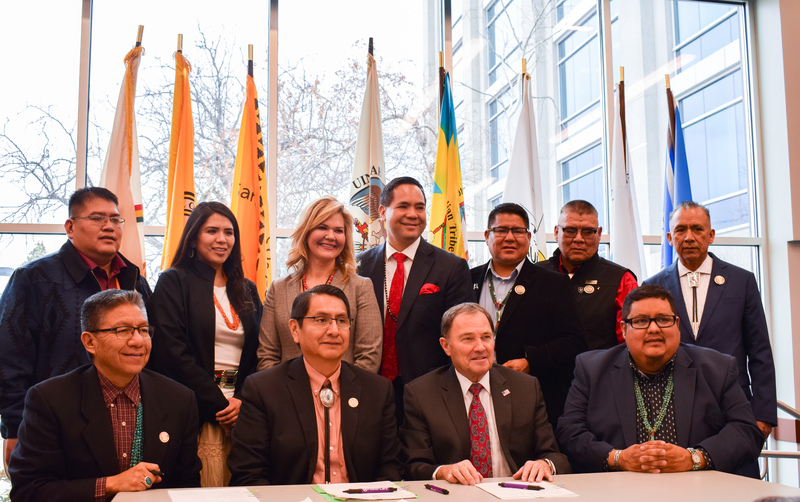 Both the Agreement signed by Governor Herbert and Attorney General Reyes, and the actions of Attorney General Reyes in defending ICWA, exemplify Utah’s faith in our first nations and desire to preserve ancient languages and traditions. 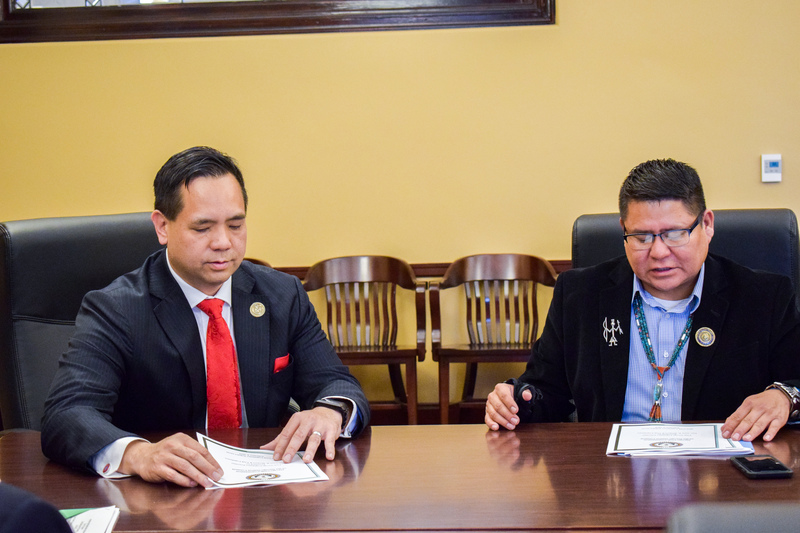 This entry was posted in Recent Posts and tagged Attorney General Sean Reyes, Governor Gary R. Herbert, ICWA, Inter-Governmental Agreement, Navajo, Navajo Nation on February 5, 2019 .